This entry was posted in cadaver, grief and mourning, mass death, ritual. Bookmark the permalink. 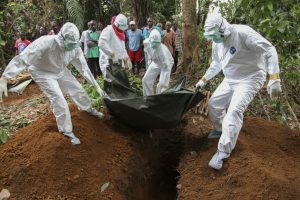 This article is interesting because I was unaware of the influence local burial practices had on the spread of Ebola, and I wonder what compromises were made to satisfy local burial practices while avoiding physical contact with the dead. I also wonder how many unnecessary lives could have been saved if anthropologists were initially included in the plans to minimize the spread of Ebola. As Alex pointed out in the article, these aid organizations, especially the Western ones, spend millions of dollar and energy to improve the living conditions and health of people globally, but have they implemented efficient, practical methods of assistance in the eyes of local people they are serving? Would these organizations continue to have these issues if there were more anthropologists in positions of power? This article also intrigues me because it reminds me of the miscommunication some doctors experience with their patients who may have different religious and cultural backgrounds. Most of the time, this lack of understanding between both parties results in patient noncompliance. I really appreciated this post; it’s such an important and relevant topic. Your final sentence, “public safety is of great importance, but so is cultural relativism” is a great summary. To achieve public safety progress and implement public health interventions, it is crucial to respect and consider the cultural practices or the interventions will not be successful. This is something we talked about a lot in my study abroad program in Costa Rica. One example our professor gave us was about a community dealing with water contaminated with pathogens. Boiling the water seemed to be the simplest and most economically efficient solution to the government, but the community completely refused to boil their water. They believed the water was alive and their cosmology placed great importance on its power. Boiling the water killed it. Once this was understood, the health workers started a discussion and came to an understanding with the people that the water was sick and needed treatment, and alternate interventions were implemented. It is important to have an open dialogue so that the public health officials understand cultural practices and the people understand the purpose of the interventions, and a strategy that respects both can be found. I completely agree with the concluding statements. After taking multiple anthropology courses over the span of my college career, I have learned so much about the vast impact culture can play in almost every realm of life. It seems almost surprising that government officials and medical relief organizations would initially find cultural factors superfluous. I also like what Jakara mentioned about miscommunication between doctors and patients. Having experience taking my grandparents to various doctor’s appointments, I have been able to see that the most effective way to ensure patient compliance is to find a treatment plan that suits the patients life. Three years ago, we were shocked by the outbreak of Ebola and when Emory accepted an Ebola patient, it scared me about whether this disease could be out of control in the United States. This article allows me to think about how cultural traditions could conflict with public health issues. 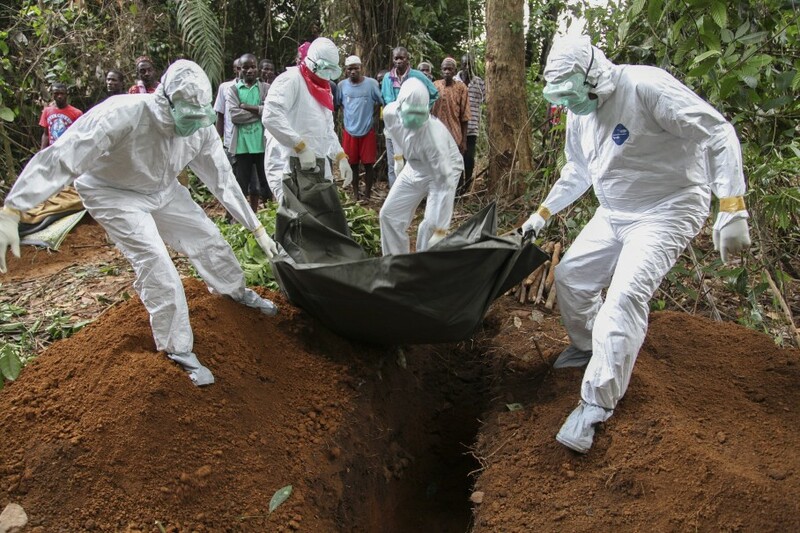 Cooperation to control Ebola entails a mutual understanding of both cultural and treatment. Only when both sides reach compromise, it is the moment that we could take control of the disease. I also realized by looking this article that burying practice in some cultures could cause serious public health issues. When reading the article, I was wondering whether the foreigners were aware of funeral practices and honoring local cultures when they carried out a plan to control the disease. If culture context is not considered, they could run into trouble and their methods could not be implemented or approved by local government. It makes me realized how important should we consider culture when we try to enter a place that is foreign to us.